I recently bought floam for my nephews as a gift, and they LOVED it! You can play with it for hours, making creations. And the best part – its no where near as messy as playdough! It got me thinking… I’m pretty sure I can make this! And after a number of at-home experiments and combinations, I figured out the perfect recipe for a nice tennis-ball size of homemade floam. 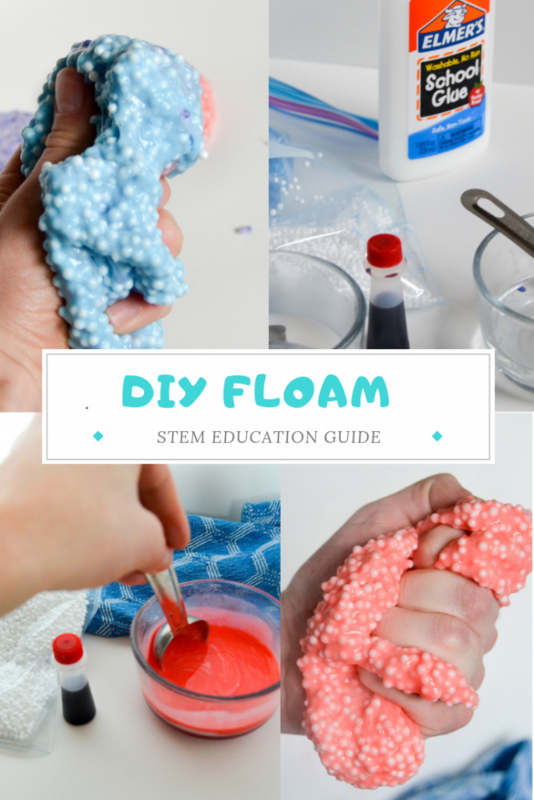 Keep reading for the full recipe on how to make floam at home! The ingredients for floam are similar to those you use for slime. 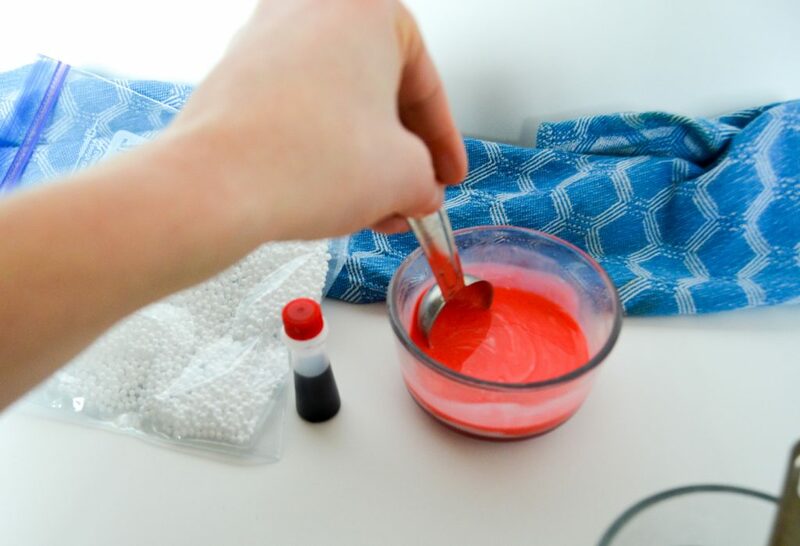 If you’ve made DIY slime at home, you know the process! Floam is simply a combination of slime and poly-fil micro beads (the beads you use in a beanbag chair.) You can buy these online or at a craft store. We bought a variety pack with different colors, but in the end I liked the white beads with a bit of food coloring added best! 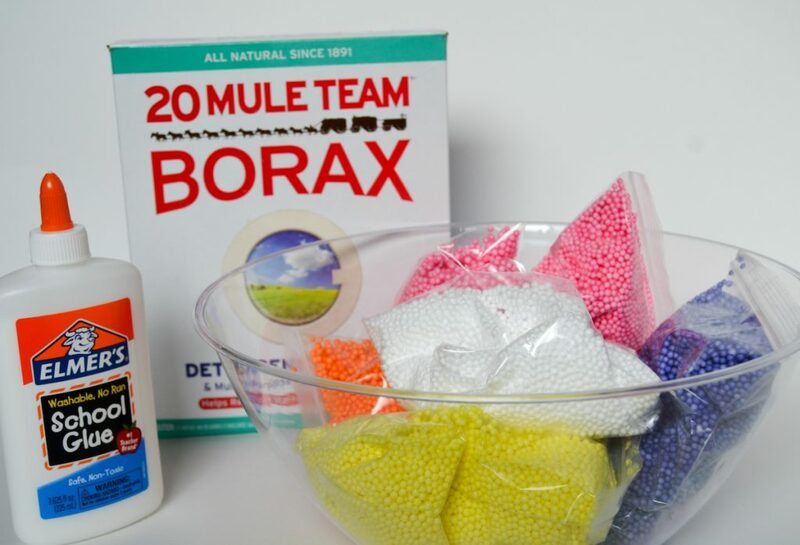 Add 2 tablespoons of Borax into 1/2 a cup of very warm water. Stir until it is completely dissolved. Mix 3 tablespoons of glue with 3 tablespoons of warm water until completely mixed. Add food coloring of your choice to the glue mixture. Add the glue mixture and 1/2 cup of the poly-fil beads to a plastic bag. Stir and shake the bag until the beads are completely coated with the glue mixture. Add the borax and water mixture to the plastic bag and mix completely with the glue. Be sure to start mixing quickly! As soon as the borax combines with the glue it will start to change. Take the floam out of the bag and play! Be sure to store in an airtight container after using, as it does start to dry out. We tested a few different combinations and recipe variations! 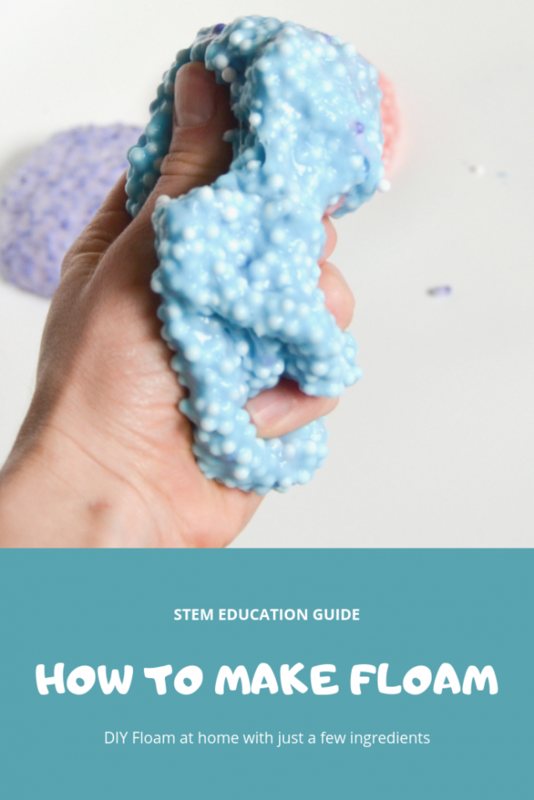 You can either create a much more slime-y floam by using more glue mixture. 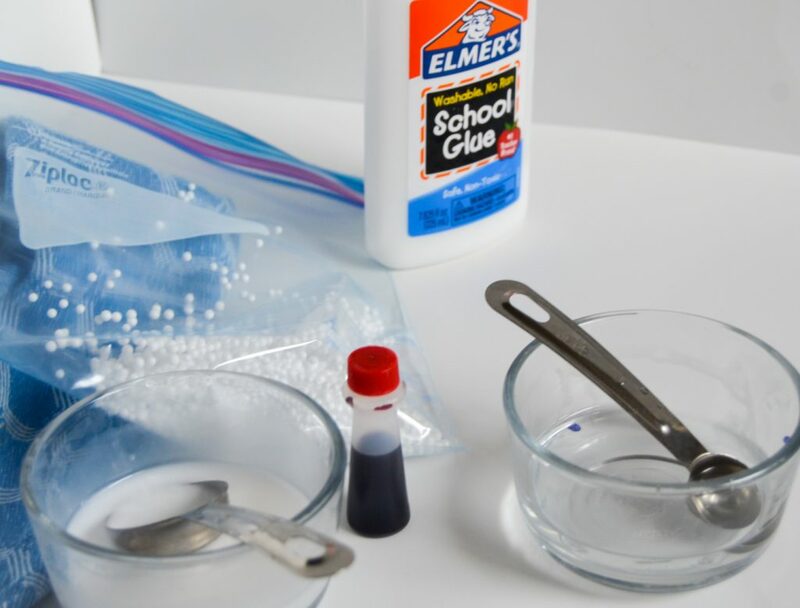 Make sure the beads are completely coated in the glue mixture before adding in the dissolved borax! If you don’t the beads don’t every completely “combine” with the floam, and you end up with white beads falling out everywhere. We also tested using colored poly-fil beads instead of adding food coloring to the glue mixture. I ultimately thought the white beads looked best! This way you have a more vibrant floam.